Sure, it’s still easy to operate, still ready to conquer any terrain, and still built to last. But the new V-Ride™ II’s exceptional results, even greater stability and unmatched comfort leave no doubt: It’s a whole new ballgame. The V-Ride II is an ultra compact, agile, comfortable and stable stand-on mowing machine. It combines the speed and comfort of a rider with the space-saving convenience of a walk-behind mower. 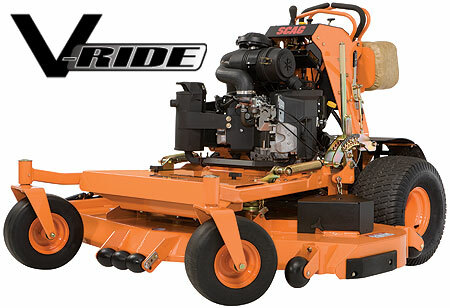 Despite its compact size, the V-Ride II boasts many full-sized features like dual hydraulic pump dual wheel motor drive system, coil-suspension platform, and a heavy-duty steel main frame. Pair a powerful Kawasaki FX, Kawasaki FS or Kohler EFI commercial-grade engine with a 36″ Advantage™ or a 48″, 52″ or 61″ Velocity Plus™ deck and you have an ideal combination of agility, power and performance. 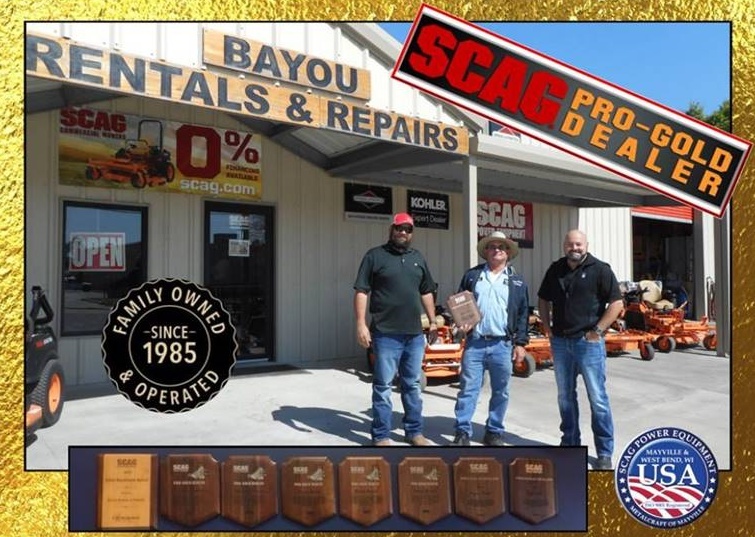 Scag Pro-Gold Dealers consistently deliver the high level of service, sales and parts support that professional landscapers require. They stock a more comprehensive inventory of Scag mowers, accessories and parts to better serve the professional landscaper. Pro-Gold dealers are also Gold level certified through Scag University. A limited number of Scag dealers qualify for the elite Pro-Gold status. Scag Giant-Vac Dealers offer the complete line of Scag products, including our industry leading leaf and debris handling equipment. High-powered wheeled blowers, truck loaders and vacuums make handling debris fast and easy. Scag dealers undergo training to stay current on the latest products, repair techniques and equipment diagnostics. There are three levels of training achievement, Bronze, Silver and Gold, in both the technical service and sales.